The Knitting Bug Got me! Today JSL and I had a busy day. It started off at NHL’s school for a meeting with his teachers (going over goals and things for next year). Then we went to meet up with the Squishy Yarn Guru that is Laura. She wanted to take me to a "real" yarn store to see what they had (ya know – not Walmart, Michaels . . . or anything like that). Anyway, she is EVIL I tell you. 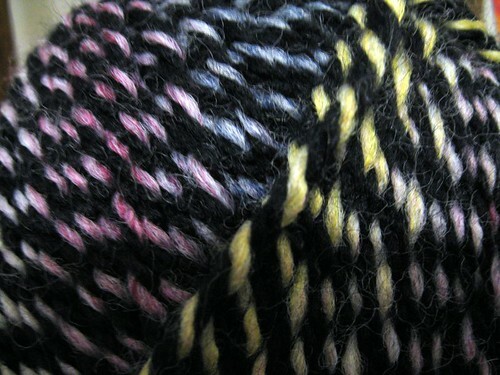 I want to start knitting with the really pretty new yarn that I bought. 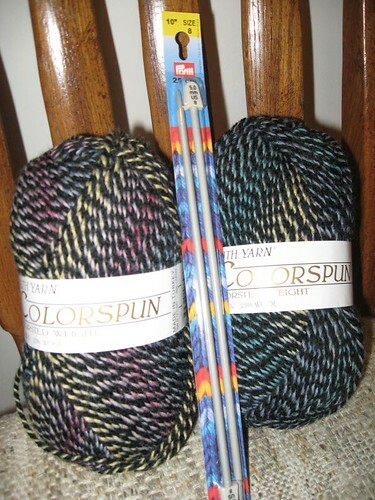 See here it is with the new needles that I bought. Problem is I can not start just yet. I must be patient (WAHHHHH). I must wait until Madame Squishy Yarn Guru shows me how to purl again (plus she needs to help me finish off JSL’s scarf.). She said she will show me something neat to do for this scarf to make it a little more interesting. 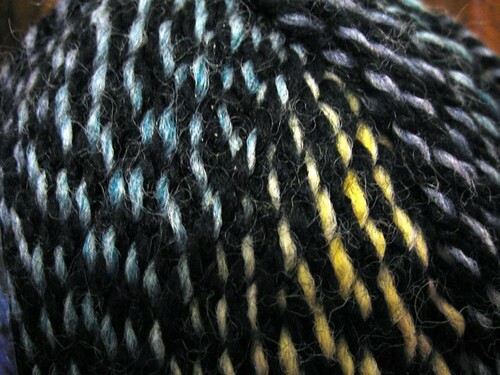 Until we are able to meet up for the lesson I will have to sit and pet my new yarn. Here are two more close ups of the pretty fun stuff. On that note I am off. JL and I are taking NHL out for a Big Boys night. My parents are watching JSL – thanks Mom and Dad! It’s so great when you have a hobby that you really enjoy. And you’re so good at it! Kailani: Yes, it is nice to have a hobby that is relaxing. I do not know why I did not go back to knitting sooner. Oh wait, yes I do. When teaching I had no time with lesson planning, correcting and all that jazz. I am not good at it yet, but getting better. Thanks for the sweet compliment.